Boots is one of the most loved brands in The Uk. But in a fast moving world, how can they make sure to stay relevant for today's and future customers? Boots came to us with a very specific problem: They were losing customers to newer competitors. Our initial work was too figure out why, through consumer and market research. Research showed a lack of digital presence, and due to their wide range of services, consumers was not so sure why they should choose Boots over the comfort of their local supermarket. By limiting their offering to six essential areas, and targeting very specific personas per offering, they were able to communicate their proposition more clearly. 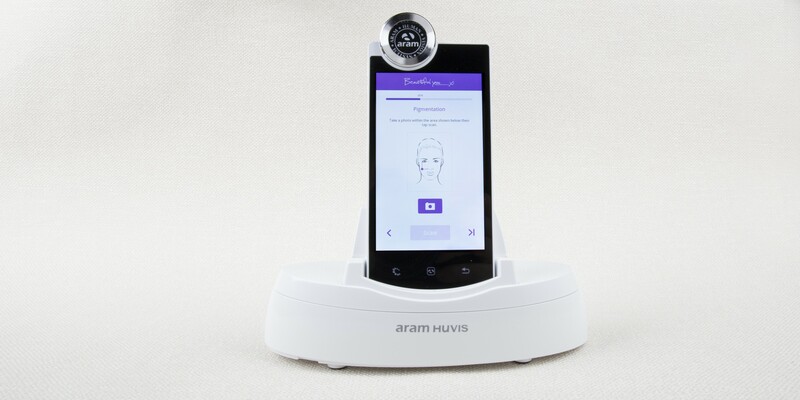 Images shown are examples of the beauty offering, involving an in-store consultancy with facial analysis, followed up by personalized recommendations tailored to the consumers skin type. 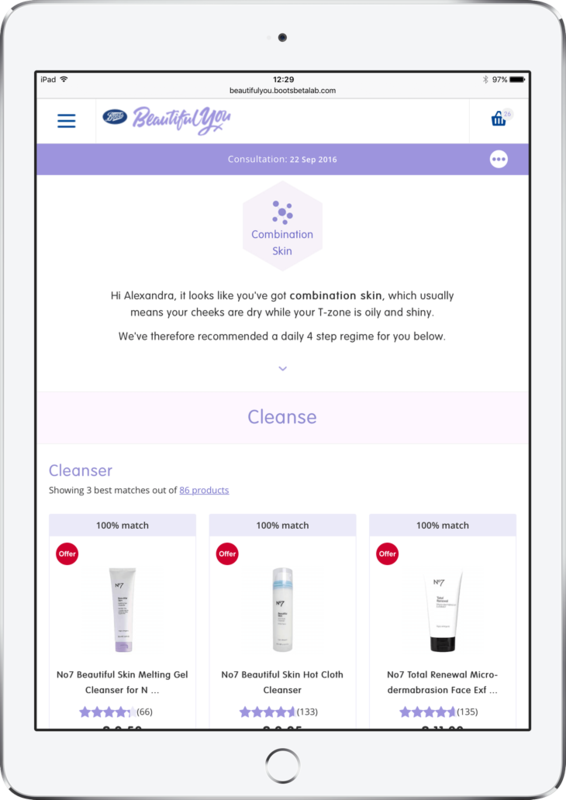 The concept was initially prototyped in a Boots store with actual Boots customers: They were offered an in-store analysis by an actor, and was shown a "tailored" profile page with recommended products on a protototype made by me on an ipad. After this followed in-depth interviews, giving us feedback to give us learning. The combination of personal consultation and tailored recommendations were able to give Boots a more professional role in the market, thus giving them a valuable edge that supermarket cannot compete with.